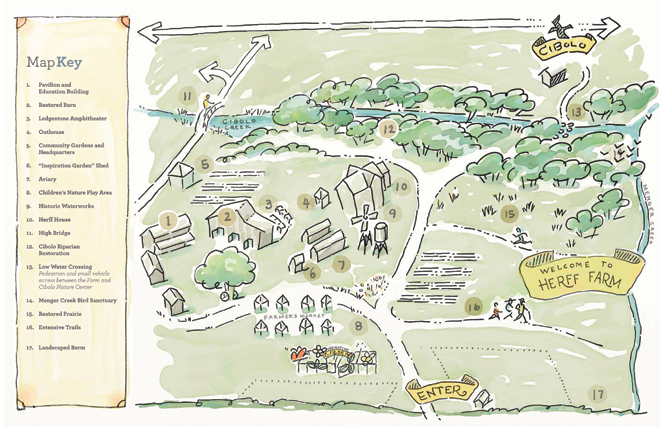 The Herff Farm will be a model Natural and Farming Center for living lightly on the land, unlike anywhere else. A large-capacity pavilion and amphitheater will accommodate educational and community events on a broad scale, while classrooms, trails, exhibits and community gardens will foster smaller, daily opportunities for students and community members to gather at the Farm. The Farm will teach students and adults sustainable techniques such as home gardening, rainwater catchment and conservation, best energy-use practices, composting and more. Operating sustainably, it will also act as a living model of environmental stewardship. Each of us is a caretaker of the land. The Farm will actively engage all people to consider the opportunities that are readily available for living in harmony with nature. 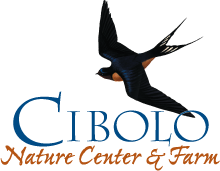 Home to native prairie grasses and a bird sanctuary, the Farm will expand its trail system with a bridge between the Cibolo Nature Center and Farm. The seasonal weekly farmers market and year-round teaching garden will be enhanced by programs which support sustainable living.